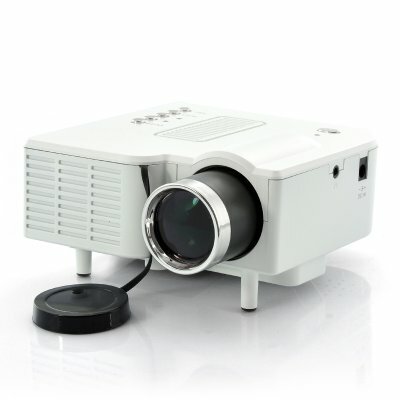 Successfully Added Mini LED Video Projector "PortiMax HDMI" - 320x240, 300:1, VGA and HDMI Port to your Shopping Cart. Mini LED Video Projector with 320x240 resolution, 48 Lumens and 300:1 contrast, and even a HDMI port. Small enough to easily carry with you and powerful enough to provide great images up to 45 Inch wide. The “PortiMax HDMI” LED mini video projector has been updated to feature an HDMI port on top of the VGA port and also comes with a higher projecting resolution on top of the already better 300:1 contrast! Show your presentations during business meetings or use it as a home theatre projector, the “Portimax HDMI” is a powerful and versatile portable projector. With an output luminance of 48 ANSI Lumens, this mini projector delivers a superb image quality, especially considering the size of the projector. The “Portimax HDMI” now doesn’t only feature a 3-in-1 AV connection and a VGA port which allows you to connect your DVD Player or TV Box, but also an HDMI Port allowing you to hook up the projector to you PC or Laptop and project everything you see on your PC. On top of that, a Micro SD card slot and a USB port let you project files stored on your portable medium for extra flexibility. No matter where you are, you’ll always be able to project your images. Just sit back, relax and enjoy the show! This LED mini projector is ideal for both personal and business use and is now offered at a great wholesale price! 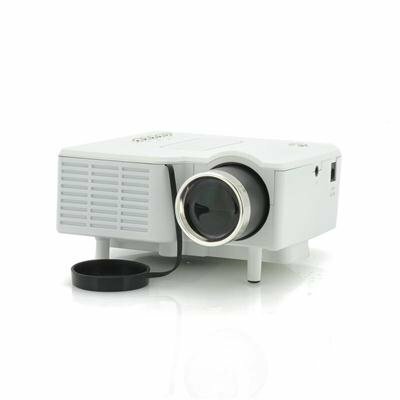 In stock now and ready for shipping within one working day, this portable video projector is brought to you by the leaders in wholesale mini projectors, Chinavasion. USB and SD files are viewed on the projection screen. So far I have no signal from CVXO-E253-2GEN LED projector to Lenovo 565G notebook with Windows7 operating system. Both VGA-to-VGA and VGA-to-HDMI cables were tried.